It’s the holiday season once again, and this year we have a very special gift for all of our amazing Meeps Peeps: Peppermint Mochas! 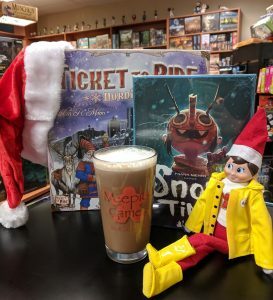 So this holiday season, why not stop by the shop for a piping hot peppermint mocha and a few games! Remember, shopping small business makes us do a jig! From our family to yours, we wish you all a very happy holiday season!